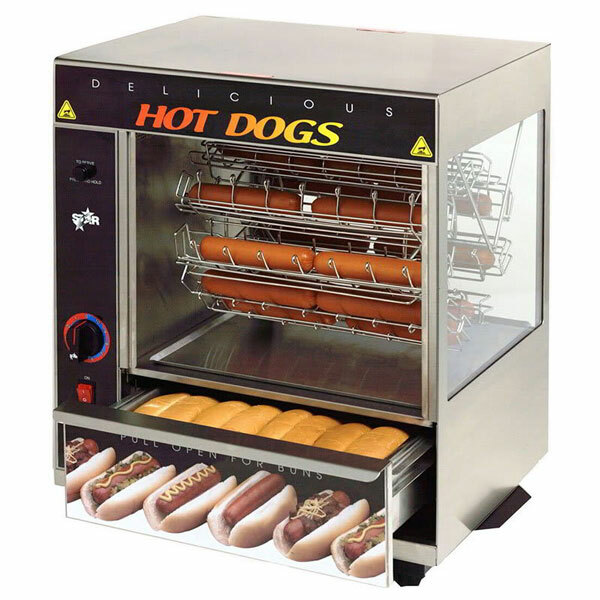 Preparing hot dogs at your place of business is going to be easier when you have a Star 175CBA Hot Dog Broiler around. It has a stainless steel construction and glass on the broiler to reflect radiant energy into the cabinet to cook your food faster. The machine has 36 hog dog capacity. It can also warm 32 buns. 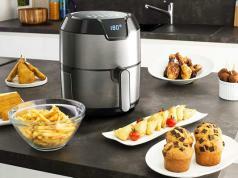 It comes with infinite temperature control mechanism. 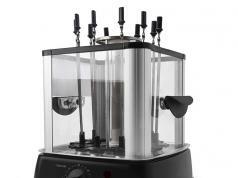 The Star 175CBA Broil-O-Dog hot dog broiler and bun warmer is available for under $1100 at this time.